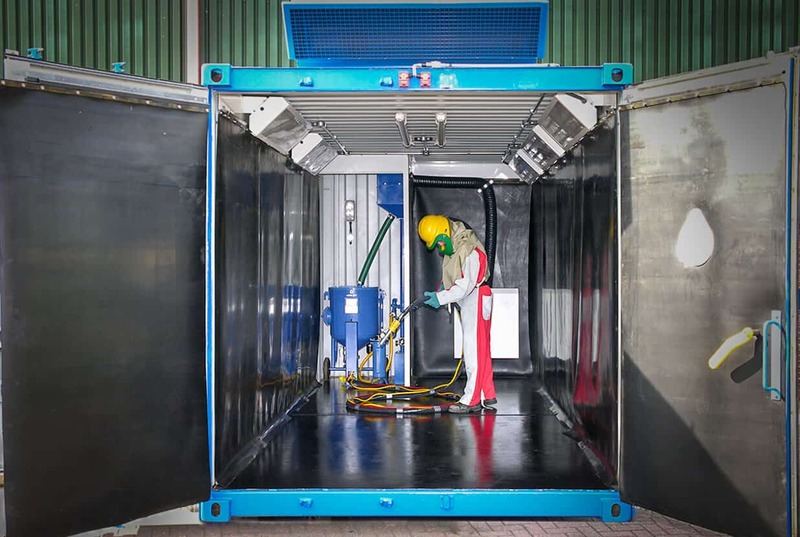 Airblast Eurospray has been providing turnkey blast and paint solutions for international marine customers for five decades. We produce facilities for ship and submarine building, gas and oil component manufacturing and offshore wind energy. 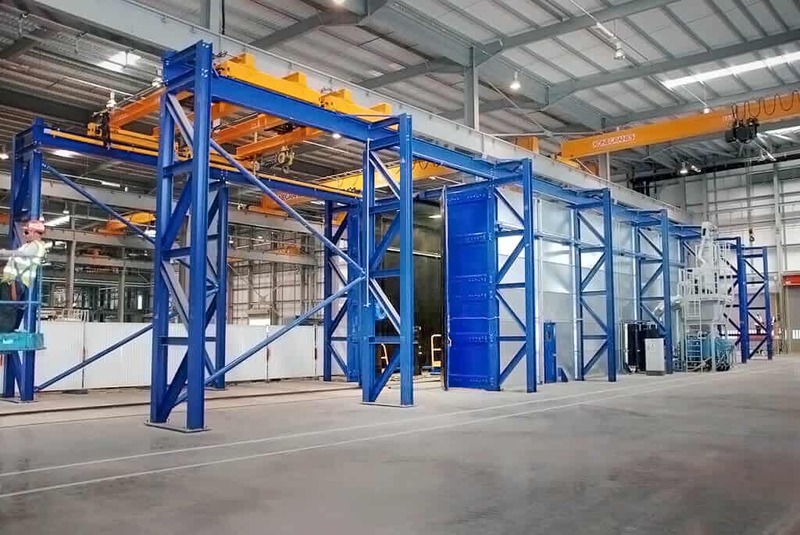 In all cases, we’ve created world-class blast and paint facilities for leading manufacturers in their field. Tough marine conditions have a highly detrimental effect on marine structures and equipment. These valuable assets are vulnerable to material degradation, flash rust, paint blistering, and delamination. This makes careful maintenance absolutely crucial. 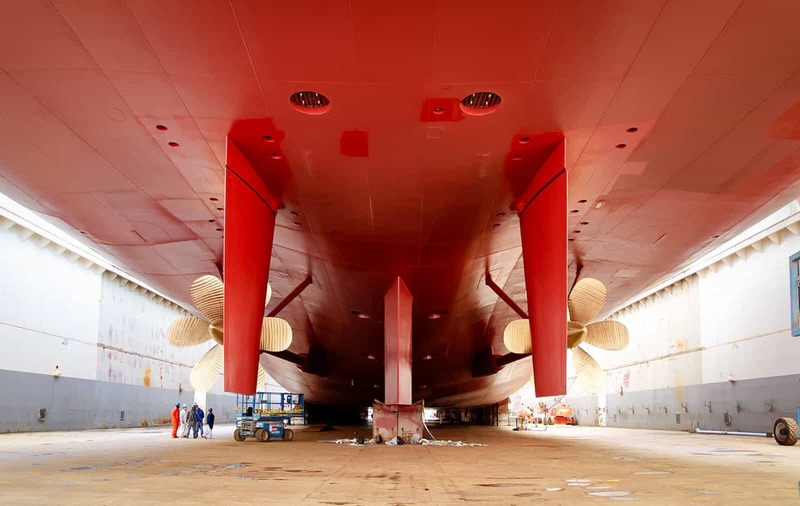 As the sophistication of marine coatings increases, so too does the demand placed on surface preparation. 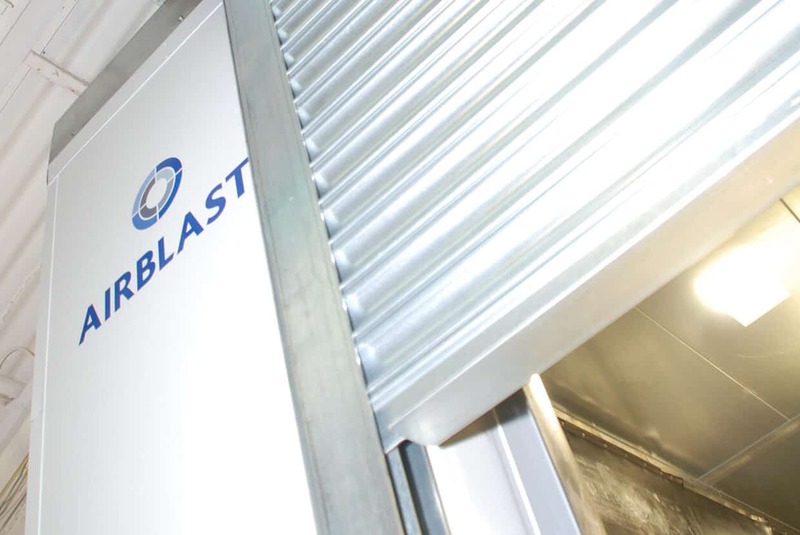 All our marine blast and paint facilities incorporate climate and humidity controls. 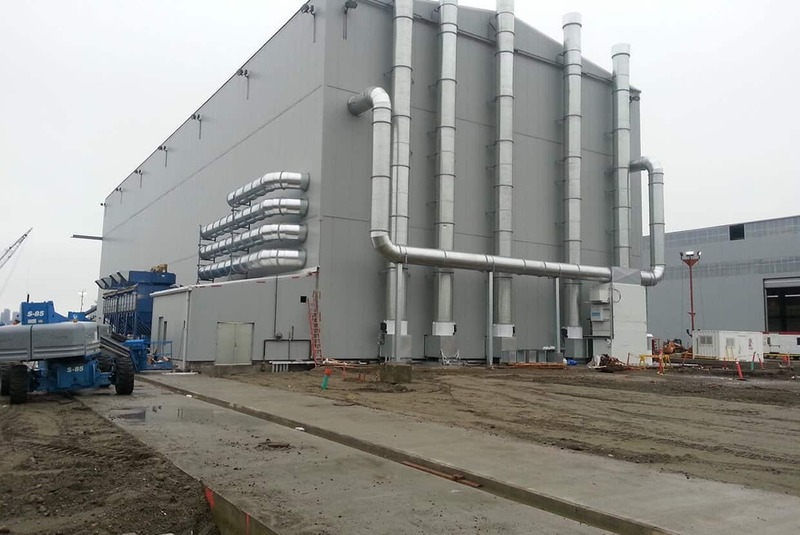 These enable accurate environment management for faster production times and higher quality results. 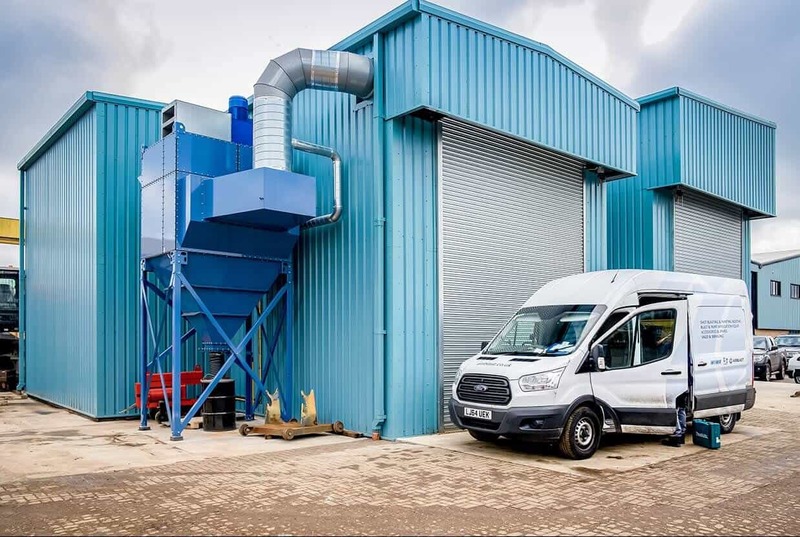 Airblast marine facilities can be found in the UK, USA, Canada, Europe, Africa and the Middle East. 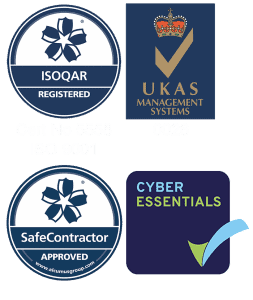 Each project is delivered to the highest technical standards with our renowned first-class service levels. 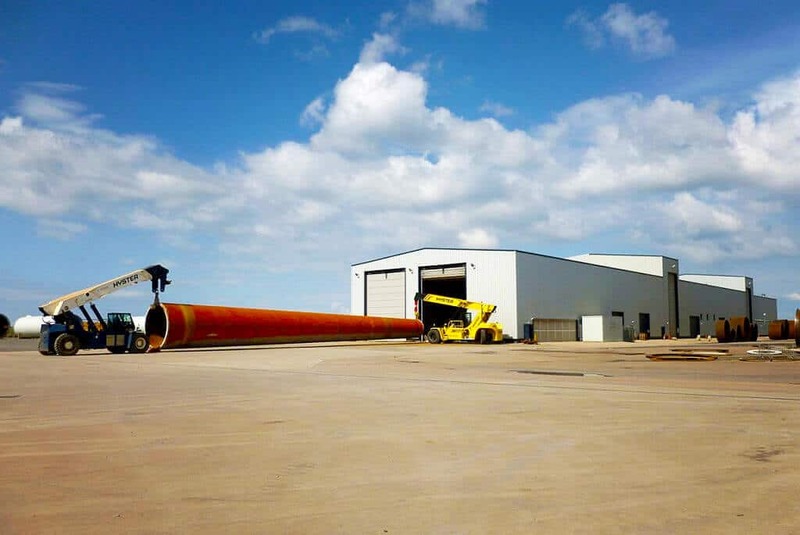 Airblast designed a number of environmentally controlled buildings for leading offshore turbine blade manufacturers. 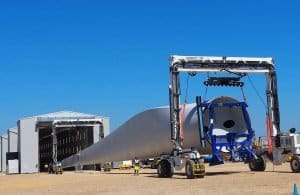 Our largest to date is designed to accommodate an 80m turbine blade and was ventilated to provide the exacting requirements of the paint specification. 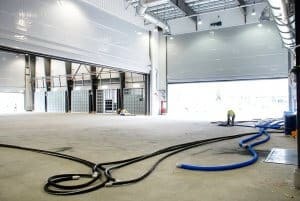 It is fitted out to be utilised as a paint spray and bake facility. 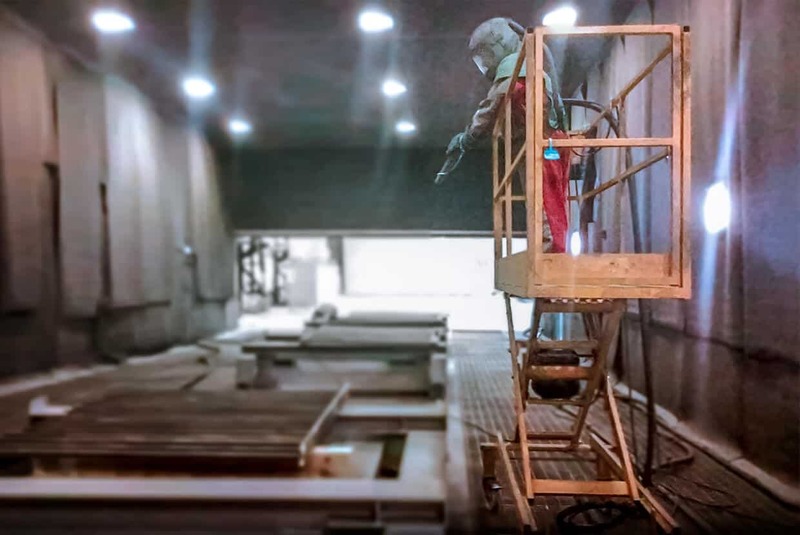 We designed and installed a climatically and temperature-controlled blast and paint hall, featuring a rapid recovery elevator capable of moving up to 30 tonnes of metallic abrasive an hour. In addition, we supplied a vacuum recovery system for blasting within vessel sections, as well as paint hall ventilation, and climate control equipment. 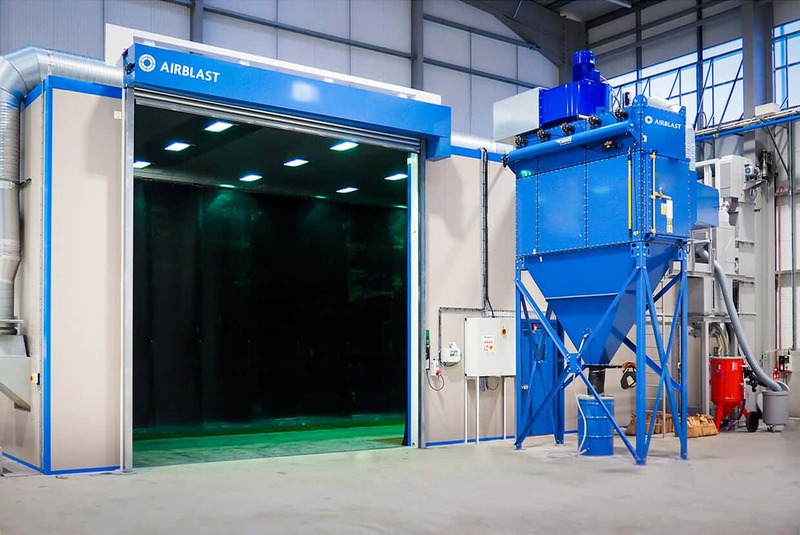 Airblast has also built a facility that provides four climatically controlled blast and paint cells to accommodate large marine vessel structures. Each seven-story high blast cell will have independent vacuum grit recovery capable of removing 20 tonnes of steel abrasive per hour from confined spaces on the vessel plus ‘sweep to a point’ mechanical recovery equipment for abrasive used to prepare the hull to SA 2.5. 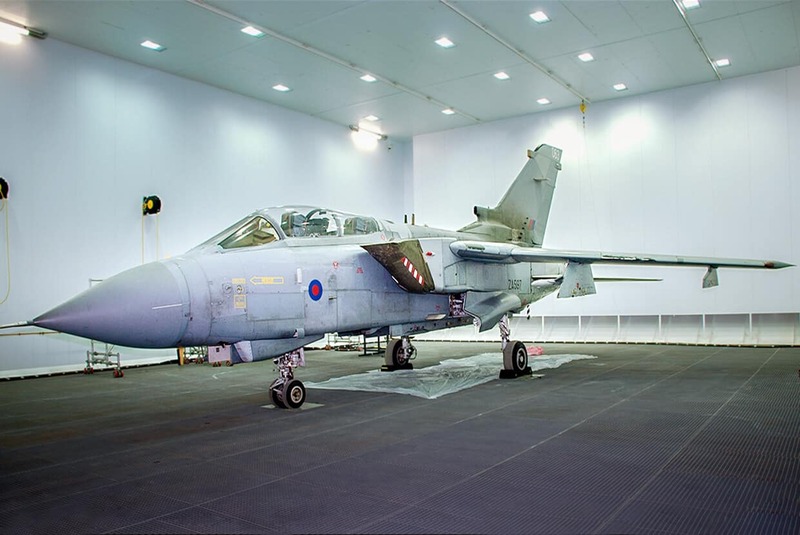 The paint cells provide both confined space ventilation and general overspray removal from around the hull. 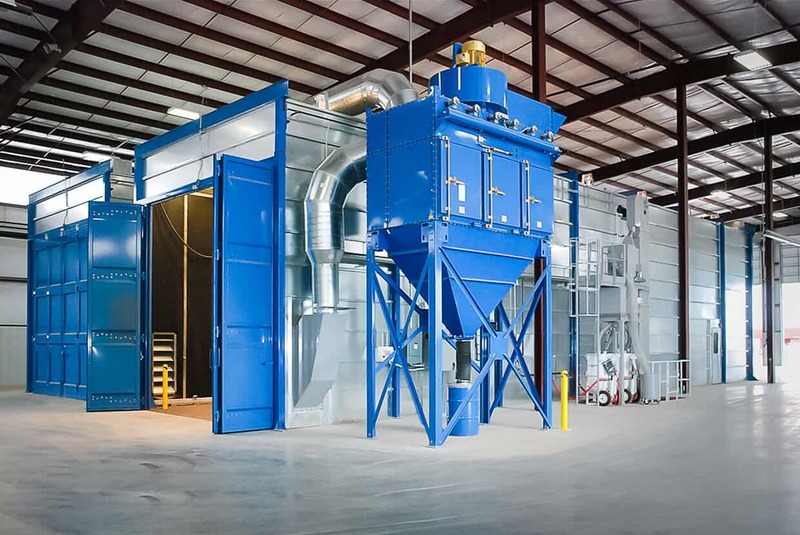 We have also designed and installed state-of-the-art, climatically-controlled ship building and repair facilities for Coast Guard vessels in North America. 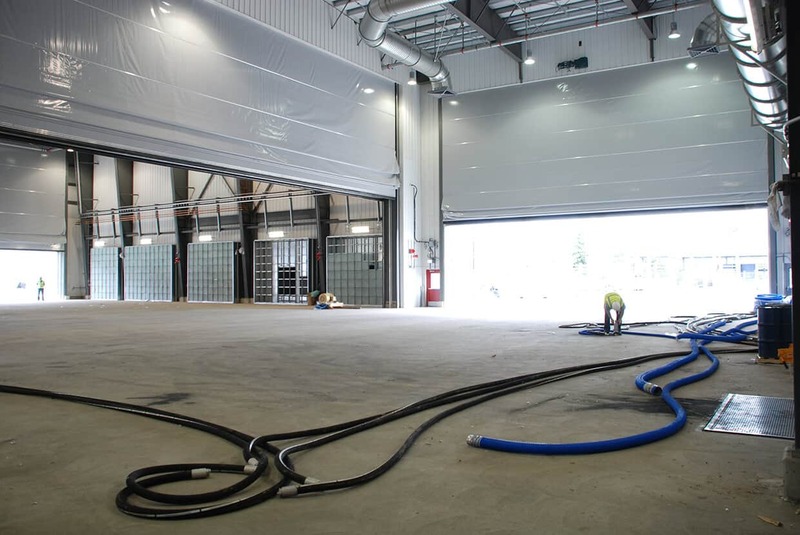 The blast and paint hall features a rapid recovery elevator capable of moving up to 30 tonnes of metallic abrasive per hour. It also houses a vacuum recovery system for blasting within vessel sections, allowing four operators to use this system simultaneously. To find out more about our marine projects, please get in touch via our Contact page.